I’m back! 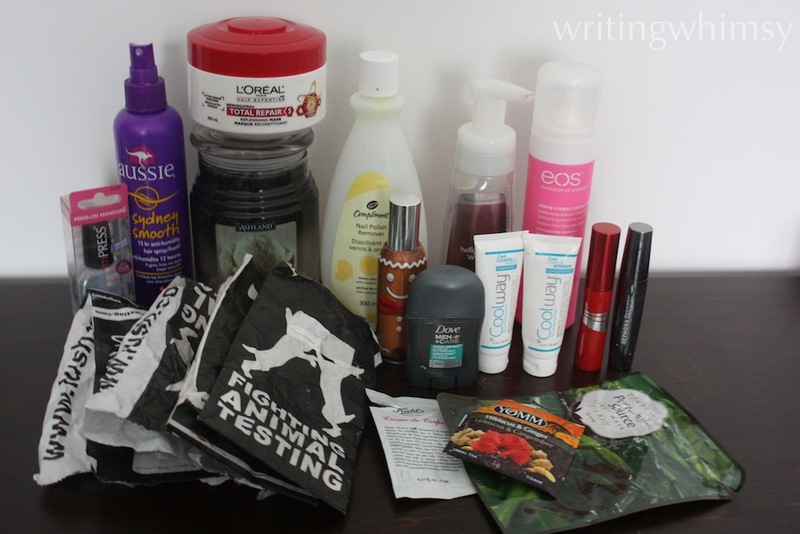 And it’s time for some November Empties! This post is way, way, overdue, but I have the photos and I stored the stuff so I’ve decided to share it anyway. Because it’s been over a month (sometimes 2) since I finished a project, reviews for my November Empties will probably be a bit more brief than usual. Also because I want to get this post up. 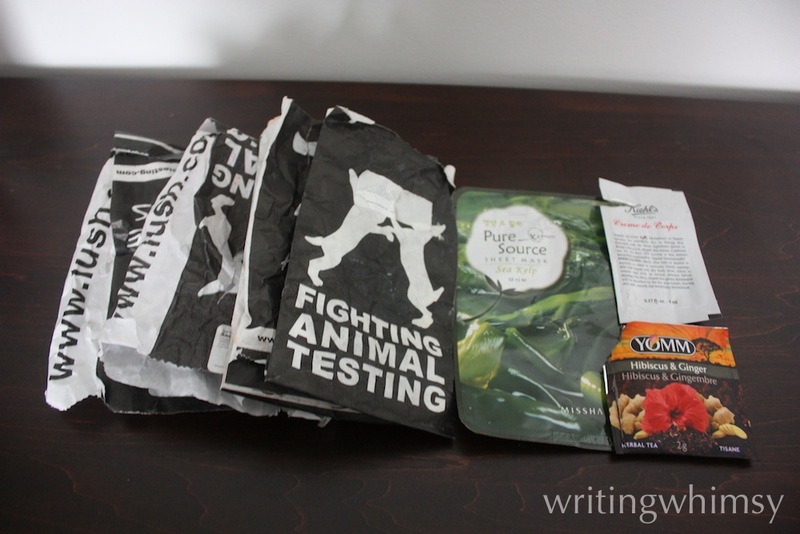 I have so much stuff I want to review and share and blogging always takes more time than I expected. I’m sorry about the photos for this post, I know they aren’t great, but Canadian daylight is so limited. I’m thinking a lightbox may be a near-future purchase for me! I’m once again using the star system for loved (***), liked (**), and disliked (*). This is the first hair mask I had bought and honestly I fell in love with it. I have a lot of hair and found I did have to use a decent amount so I rationed it a bit, but I really felt it left my hair smooth and silky. I have quite a few other hair masks in my stockpile now, but I would 100% repurchase this one in the future. What I liked about this is how much product you really get, I feel like we used this for nearly a year before it finally finished. It’s also really strong and does a good job giving the room a scent. The problem is that this actual scent made me cough and I couldn’t be around it (which is also maybe why it took so long). The one I used up before was a Cookies one that was way better, not sure what the problem was with this, but I have so many Demeter sprays now it’ll be a long time before I need to purchase any room scent. Got this through a free sample program and used it when I got desperate because my natural deodorant was not working at all. It did the job but I have other deodorant scents I like more and no reason to purchase this one. I got these as samples in a Beauty Box 5 box and took them to a debate tournament, finishing them up after. I actually really enjoyed them and though they did a great job on my curly, unmanageable hair. However the Coolway brand is quite expensive, so it’s not something I’ll be buying. 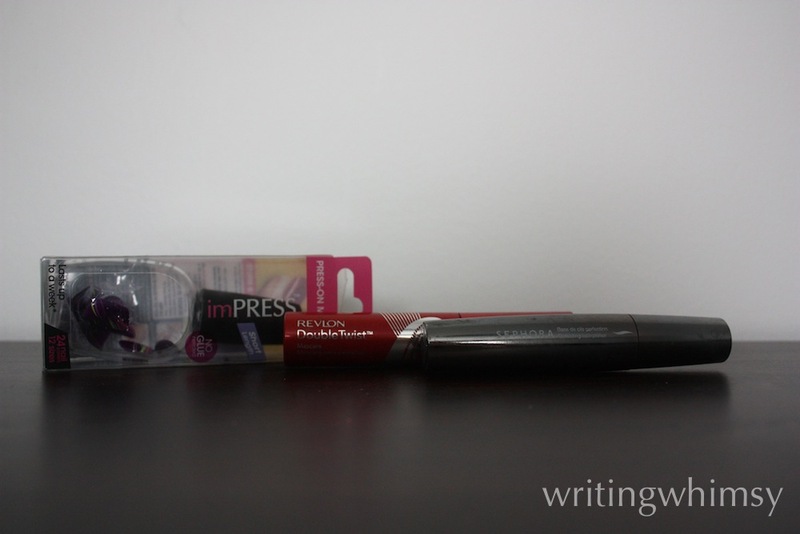 I got this in my Influenster box and it was fun to try out. The pattern wasn’t one I liked, but I was quite impressed (no pun intended) with how the nails performed. That said, I’m happy enough to use my real nails so I don’t see myself rebuying these unless I got them for a special event. They do last for at least a few days after you apply them, probably more if you don’t pick at them like I did. I don’t know if this was dried out cause it was old or just a bad formula but I don’t feel like I actually got to try it and given a review because there was nothing going on my lashes. Goodbye! Again, this was a pretty old product so I can’t really give it a fair review, but I thought it did an okay job priming my lashes and making them appear a bit thicker than they would with just mascara. That said, I don’t usually want to go too bold with my lashes anyway, so I don’t need this and didn’t get much use out of it. At this point it is very old and needs to be tossed. Another sheet mask. I guess I didn’t really have time for face masks in November, which isn’t too surprising. I’m thinking I won’t be buying any more sheet masks though I still have quite a few to use up. I just always see a much bigger impact from the kind you have to wash or peel off. I got a bunch of these Kiehls samples for free and they seem alright but nothing super special, no delicious scent but they are quite moisturizing. I’ll definitely have to try out some more of them now that my skin is drier though. I actually finished way more tea this month but seem to have misplaced it. This one came in a FoodiePages Tasting Box and was pretty good. I got a few more from the brand and I’ll enjoy drinking it but it’s not something so incredible I feel like I have to go buy more. See review here. I will say that I think I became a little less of a fan of this as time went on only because you have to rinse your razor so much while using it because it’s so thick. I do have a vanilla to use up next and then I’ll see how I feel before buying any more. We love our foaming hand soaps! This scent was pretty nice but I’m pretty sure I picked it up on clearance because it was being discontinued and there are always new delicious scents to try. I adore this polish remover! I’m just sad I have so many crummy bottles of other removers around my apartment and can’t keep using it forever. It smells pretty good and works very well. I would definitely rebuy again and again. I feel like this bottle just never ended! I had it for about a year and a half. But it’s DONE. So excited, haha. But seriously, it was okay as an anti-humidity spray I suppose, it doesn’t have a strong hold but also doesn’t leave your hair crunchy. It’s something I may end up with again eventually if it’s on sale, but I don’t really find myself missing it at the moment. These candles are very affordable and although not all scents are nice, the vanilla is quite good. It burns for a long time but I don’t find it fills the room with scent as well as the Bath and Body Works ones do. I have bought them again and will continue to in the future though. We burn a lot of candles at my apartment so sometimes cheap and decent wins out. Well there’s my 20 empties for November I suppose! 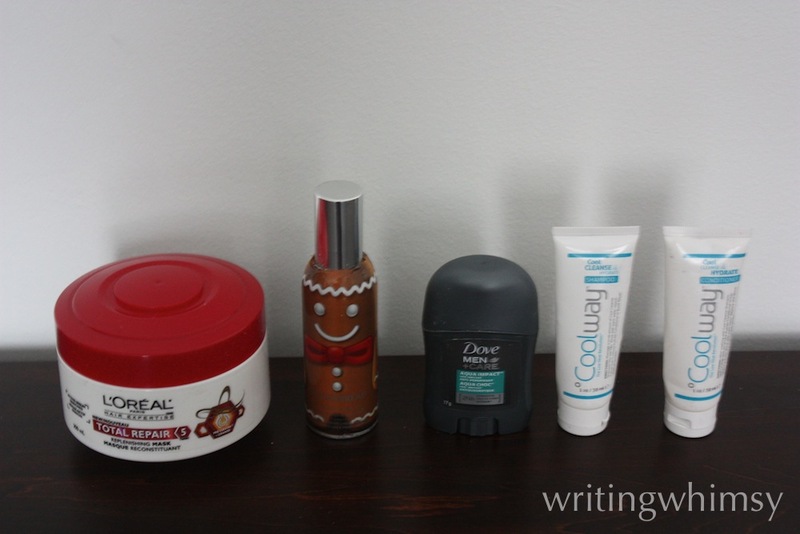 I won’t be doing a December post because of my travel, but I will toss in any December empties with my January post as there were only a few of them. 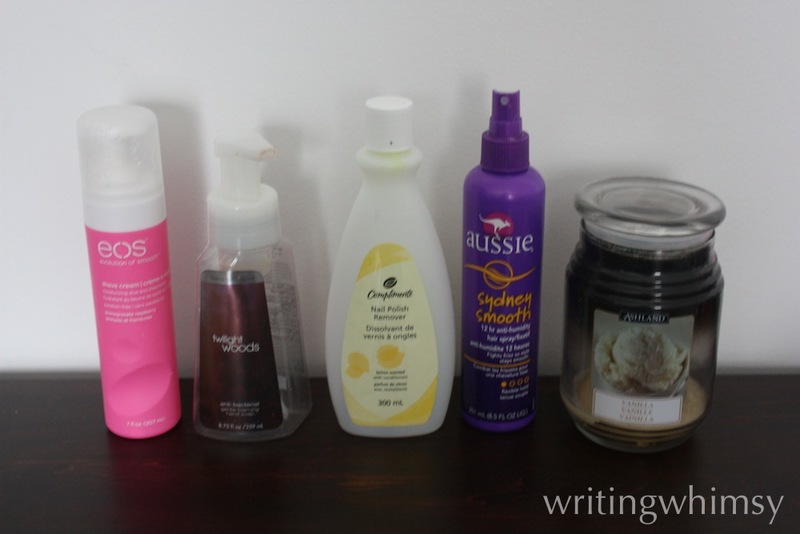 What do you think of my November Empties? Let me know if you’ve tried any of these products and what you think! I’ll try to be back with some more posts soon.